Clan Donald USA | Clan Donald USA, Inc. Welcome to Clan Donald, USA! As High Commissioner of Clan Donald USA, it is my joy to welcome you to our home on the web. Please take some time to look around and see what our family is doing around the country. 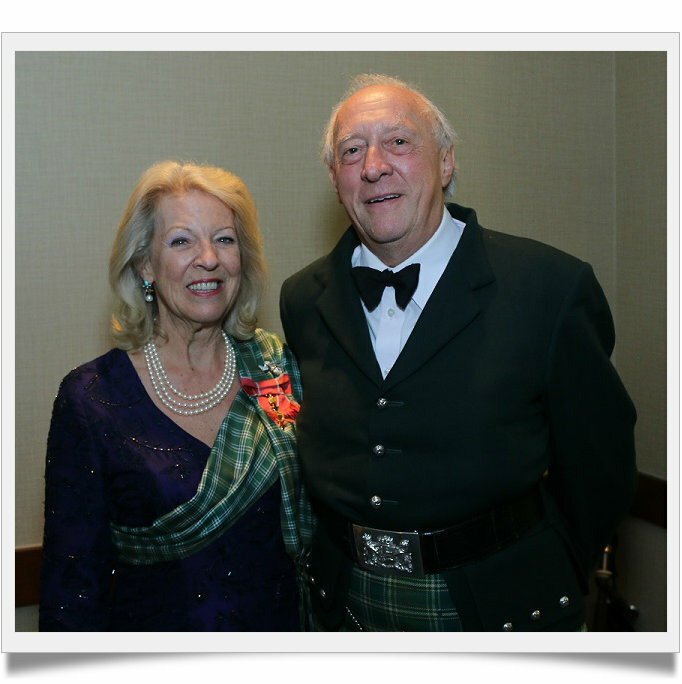 Under the aegis of our High Chief, Godfrey James Macdonald of Macdonald, we are a part of a worldwide fellowship of the Clan Donald family around the world. In this we are joined by Clan Donald Australia, Clan Donald Canada, Clan Donald New Zealand, and of course the many members of Clan Donald in Scotland and the rest of the United Kingdom. We look forward to welcoming you in person at the many Highland Games and Festivals around the country. Please stop by the Clan Donald USA tent for a visit. If you are a member or officer within Clan Donald USA, I sincerely urge you to make use of the Member Section accessed by means of the "Log In" box. There is a wealth of information that can be used for personal use or Games tent events. Merchandise for tent sales is also available for ordering. Enjoy your association with our Clan Donald family. As High Chief of Clan Donald it gives me the greatest pleasure to have this opportunity of being able to send this greeting and message to all my clansmen and clanswomen in the United States of America. When my late father brought Clan Donald USA into existence with the help of Reginald Macdonald of Kingsburgh in the nineteen fifties he determined that it should be an extension of the clan in Scotland and not just another society. This brought with it certain responsibilities, in that the feeling the chief has for his family was extended to include those that were living many thousands of miles from their original homeland. This unique bond of blood mixed with a strange affinity, able to cross all known barriers, is what makes our great clan different from other clan organizations and has endured to the present day. I, with the great support of my High Commissioner, have endeavored to make sure that this vision has been perpetuated and strengthened since I became High Chief in 1970. In this day and age when there seems to be so much uncertainty in so many aspects of our daily life, I am firmly of the belief that true fellowship found within our clan is more important than ever. Where else can an individual feel among family, united by a common bond of name and great history? I am extremely proud to be your chief, and will continue to give such leadership as I am able for as long as I can. We have much to be grateful for and Clan Donald USA has always been, and will continue to be, in the forefront of clan activity in the United States, giving stability and meaning to a very special way of life; the envy of many that are unfortunate enough not to belong to our great family. Registered members of Clan Donald USA have access to a much larger website (including our genealogy resources) than is visible to non-members and non-registered members. Click below for a Tutorial video walkthru of the process. You can select the [ ] icon at the bottom right of the video to watch full screen.